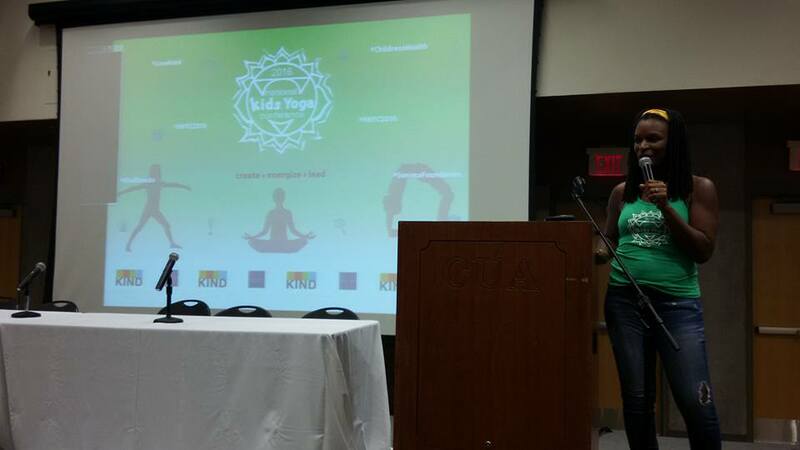 The third annual National Kids Yoga Conference took place earlier this month and brought nearly 400 people together to talk about mindful movement for children. The conference will return to Catholic University next year, October 13-15, 2017. Here’s a glimpse at some of the highlights from this year’s Saturday program. The day began with a welcome by conference co-founder Michelle Kelsey Mitchell, the co-founder of YoKid, a nonprofit organization that brings yoga to underserved populations. Michelle explained that this year’s teen program included 30 students, 24 of whom received scholarships to attend. First to the stage in the morning was John Ratey, Harvard psychiatrist and author of Spark: The Revolutionary New Science of Exercise and the Brain and Go Wild: Eat Fat, Run Free, Be Social, and Follow Evolution’s Other Rules for Total Health and Well-being . 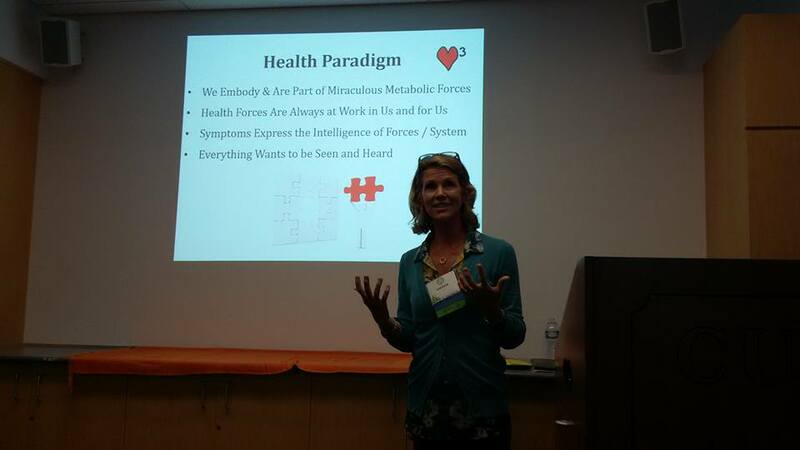 Dr. Ratey is a leader in the neuroscience of exercise. 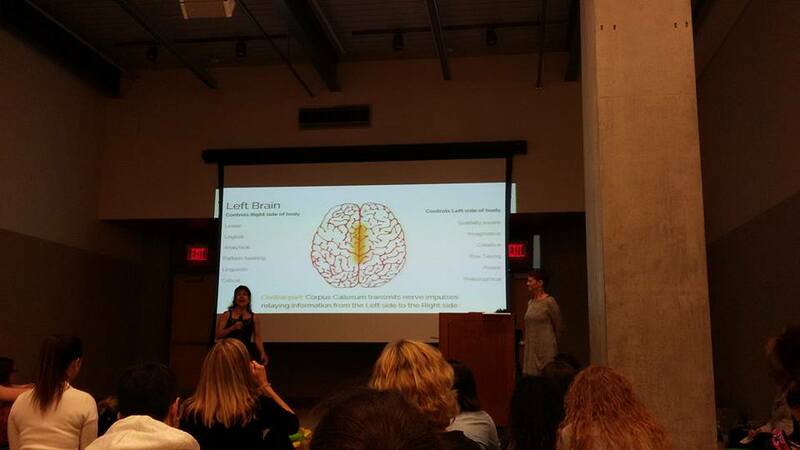 He shared details from scientific research about how brain volume increases with exercise for youth, for the elderly, for anyone, how yoga increases the release of the anti-stress neurotransmitter GABA and how continual movement increases cells that produce GABA and many more impressive findings. Dr. Ratey talked about BDNF, brain-derived neurotrophic factor that is described as Miracle Gro for the brain, and about the neuroplasticity of the brain, and he urged everyone in the room to “push yoga” because of its ability to help build resilience and grit, an internal belief that one is okay and can meet whatever challenges they face. 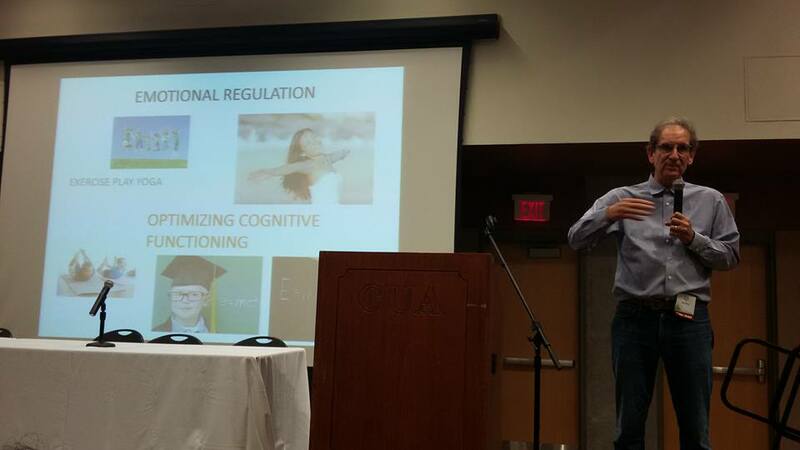 The presenters explained that, now that the Every Student Succeeds Act has replaced No Child Left Behind and includes whole child and non-cognitive measures, states can use federal money for mindful movement programs. Note for Virginia folks: There’s a survey about implementing ESSA in Virginia that will be active until Wednesday, November 9. The Pure Edge curriculum is aligned to standards and is free. 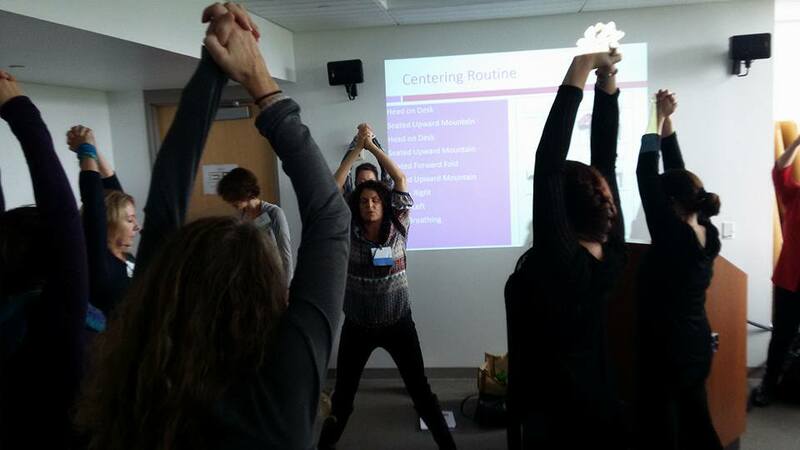 Conference participants got to try out some of the breathing exercises and brain break activities during the presentation. In the afternoon, Girls on the Run founder Molly Barker shared her inspiration behind founding the girls running program. 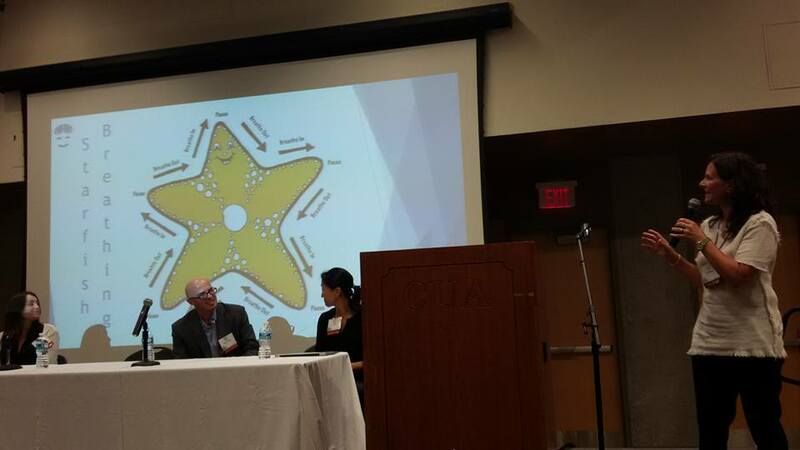 She also shared her vision for fostering connection and compassion and put it in force with an interactive presentation to which attendees contributed. One session I attended was “District Wide Mindfulness and Movement Implementation: Strategies for Success and Sustainability” with Kathy Flaminio, founder of 1000 Petals and National Director of Training Development for Yoga Calm® and Lynn Hernandez, principal at Diamond Path Elementary School of International Studies in Apple Valley, Minnesota. 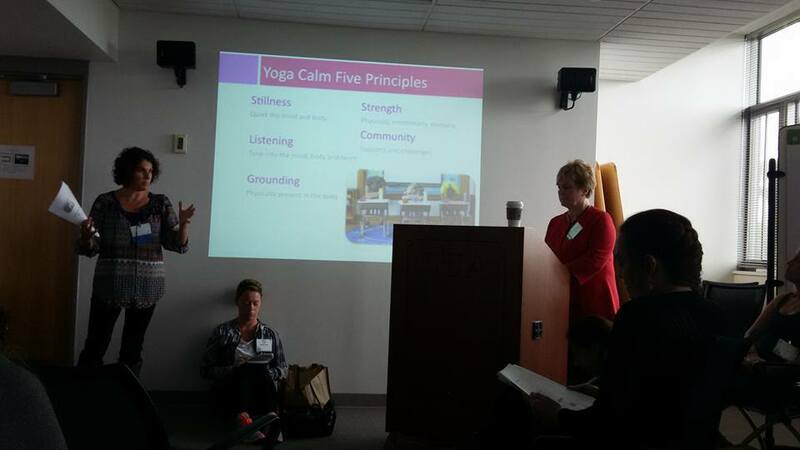 Kathy had us practice some of the key components of Yoga Calm®. 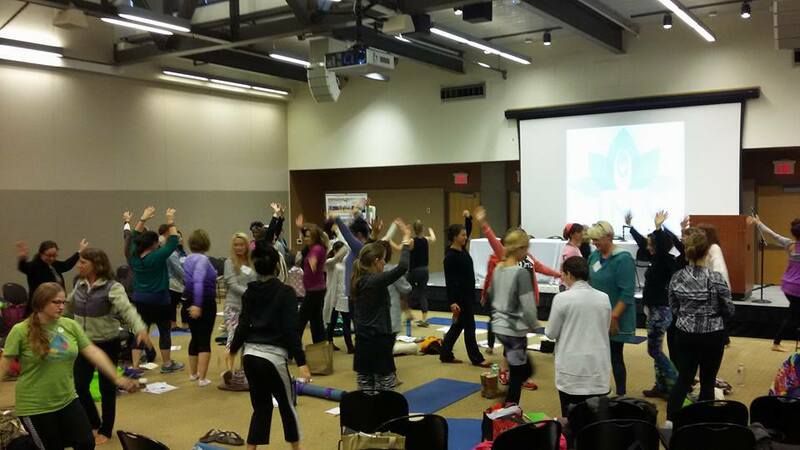 Lynn described how she went through yoga teacher training in order to fully understand the benefits it might offer her students and now has successfully implemented a program in her school with a diverse population. 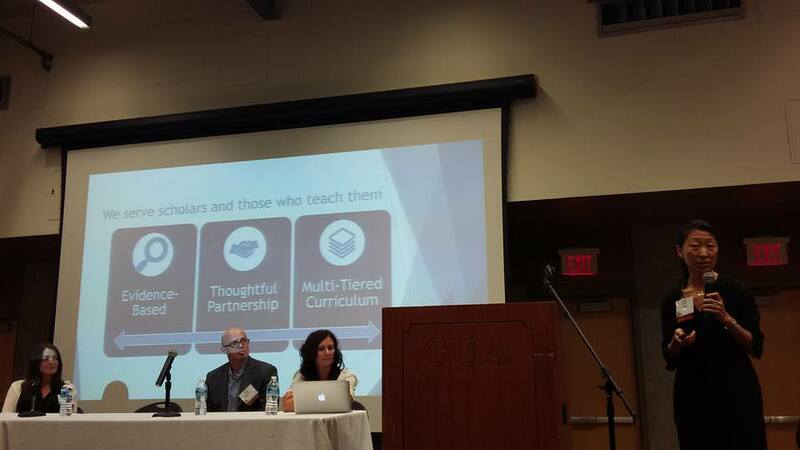 Both speakers talked about what it takes to implement a program both school-wide and district-wide. A key lesson: teachers need to experience the benefits of yoga themselves to appreciate what a tremendous help it can be to their students. 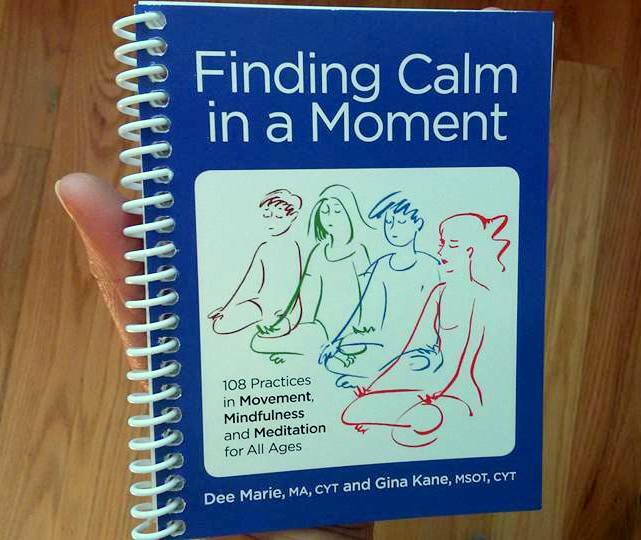 Another very hands-on session was intended to be a full immersion of the new book Finding Calm in a Moment by Dee Marie and Gina Kane of Calming Kids. After a brief introduction of how the exercises would benefit our brains, speakers led us in practicing several of them for the rest of the session. I left this session super calm and ready to go buy several copies of the compact little book to give to teachers and the counselor at my children’s school! 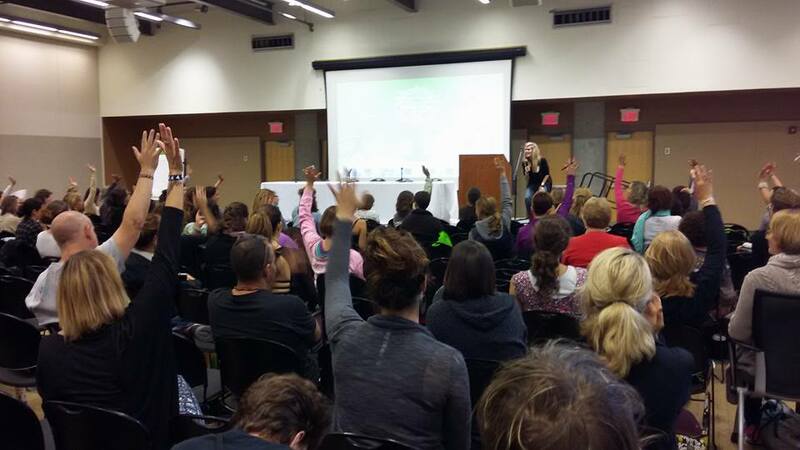 Leah Kalish of Move with Me Yoga Adventures spoke at both of the previous two NKYC events. 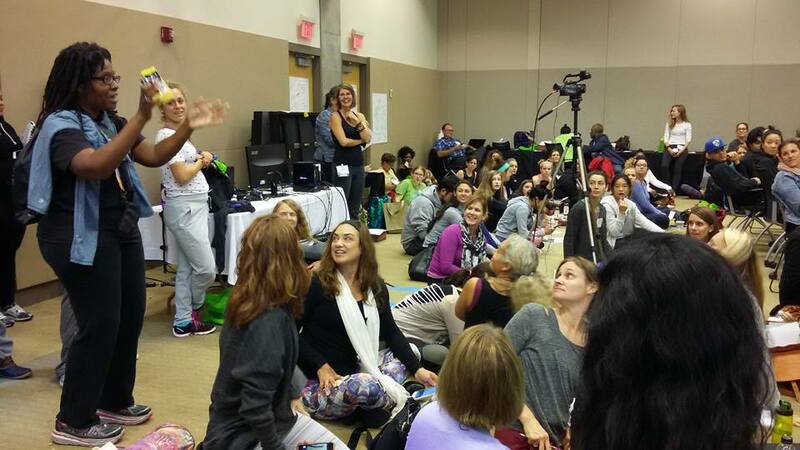 This year, she presented one session about product development and another about inherited trauma and the transformative healing power of working with an approach called Family Constellations. The overwhelming message of the day was to approach our work as parents and educators with compassion for ourselves and for the people whose lives we hope to touch. 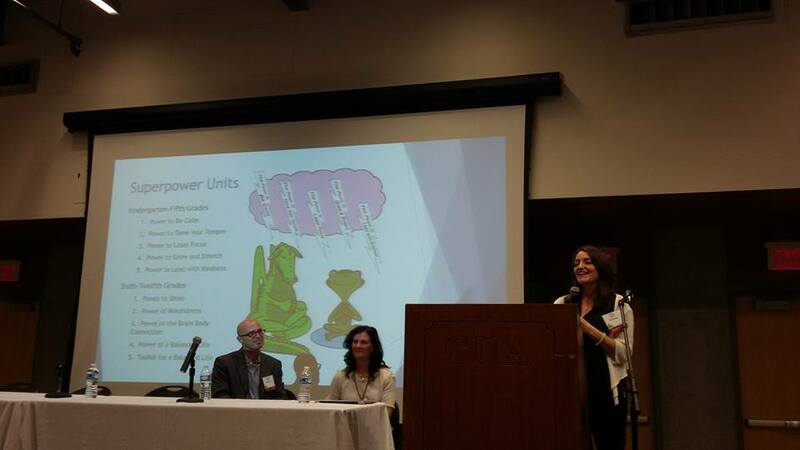 On Saturday alone, there were a total of twenty-five different breakout sessions! There were more on Sunday, and a screening of Fly by Light concluded the programming on Saturday. The NKYC program is impressive, instructive and inspiring. It’s also a terrific jumping continuing one’s education and practice beyond the event. In the marketplace, which was attached to the main keynote ballroom, there were a wide range of vendors including. 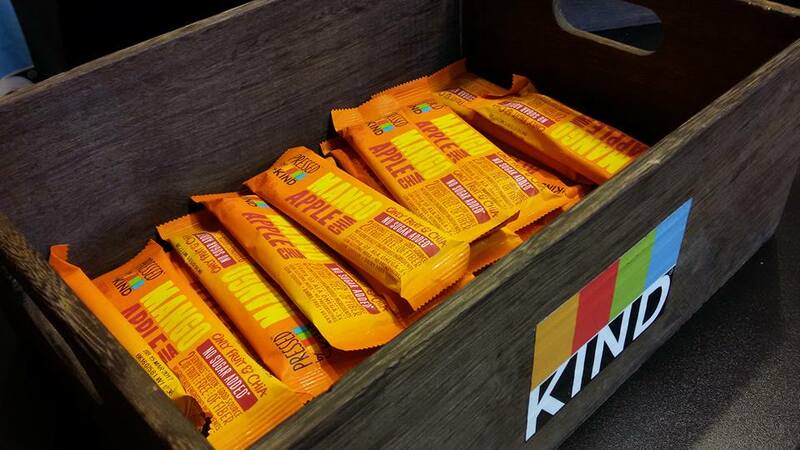 KIND Snacks was back as one of the sponsors of the conference again this year. They provided lots of yummy treats to try including their new Mango Apple Chia bar from its new Pressed line of bars. 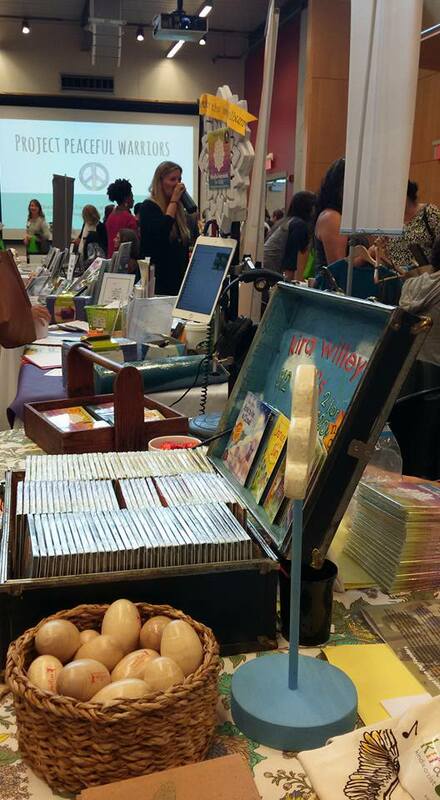 The marketplace included other vendors with products to support a healthy lifestyle, including the folks from ivivva Tysons. Ivivva is a girls’ fitness clothing line created by Lululemon. 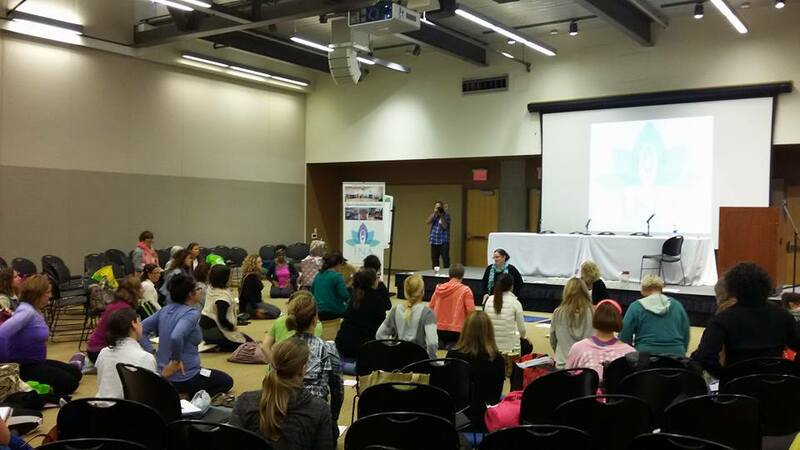 We reported in earlier this year about the ivivva Coast-to-Coast Summer Festival, which brought yoga and fitness activities to girls across the U.S. including the steps of the Lincoln Memorial. 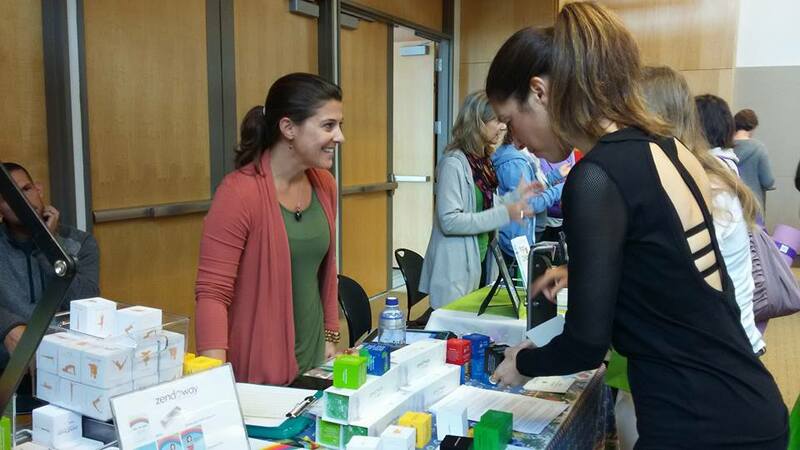 It was a delight to finally meet in person one of Mindful Healthy Life’s guest bloggers and new partners, Kerry Allison of Zendoway, who had her awesome new cubes for sale. I picked up some of these for my children’s teacher and school counselor, too! There were several other authors in attendance as well, so many we didn’t get to talk to them all! Gail Silver is the author of Anh’s Anger , Steps and Stones: An Anh’s Anger Story , and Peace, Bugs, and Understanding: An Adventure in Sibling Harmony , books that help children understand how to accept and work with feelings of anger and frustration rather than try to push them away. Thanks to Gail for donating the series to our pre-NYKC2016 giveaway! Joanie Woodward of Monkey Mind Belly Breath has a lovely bedtime book called Seven Little Monkeys that she wrote and illustrated. It is designed to help quiet and calm the most active of monkey minds! 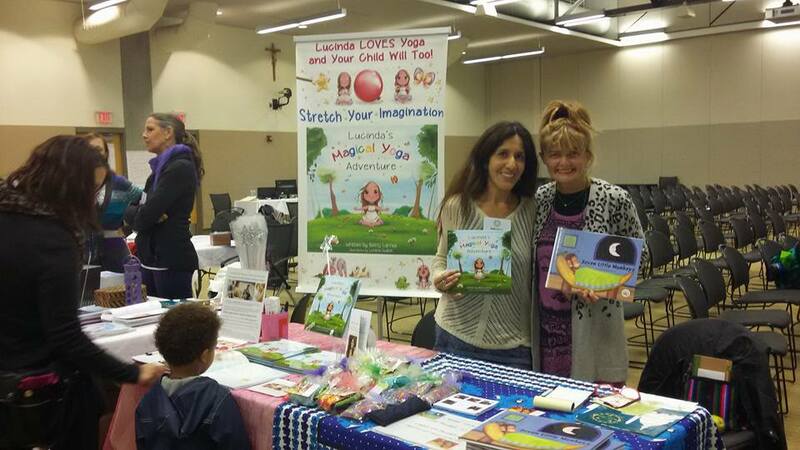 Her table mate, Bettey Larrea of Be Yoga Be Love has a fanciful book called Lucinda’s Magical Yoga Adventure that uses poetry to instruct children in poses, which the main character does outdoors in nature. We’ll be doing a giveaway of these two books in the coming months so look for more details! 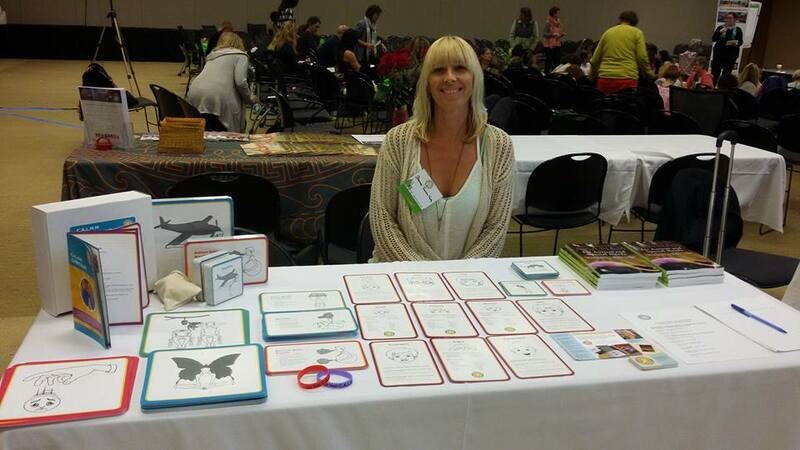 I also got a chance to talk with Shawnee Thornton Hardy of Asanas for Autism and Special Needs. She has a book and a toolkit with activity cards that can be used with all populations but are designed with autistic students and students with other special needs in mind. 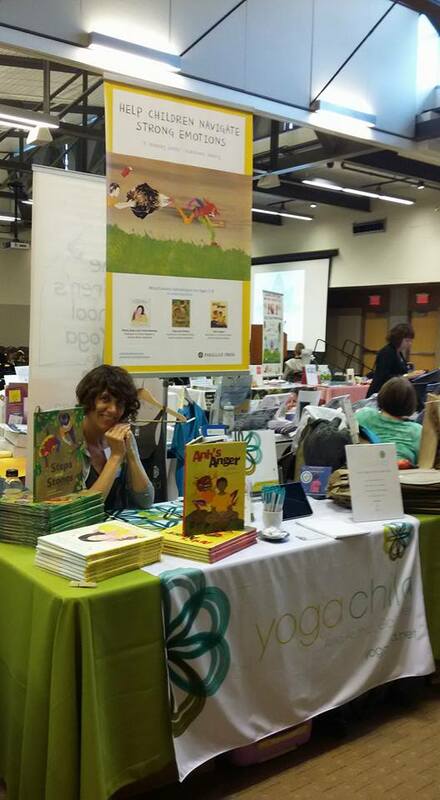 Other books represented at the conference included the Imaginations series by Carolyn Clarke and Kids Yoga Stories by Giselle Shardlow, Yoga with Nitya and I Am Yoga by Susan Verde. There were also other artists in the house, as well. The joyful, uplifting music of Bari Koral and Kira Willey has become routine on my playlist at home since meeting them at the first NKYC. We’re grateful to them for donating their CDs to our pre-NYKC2016 giveaway. 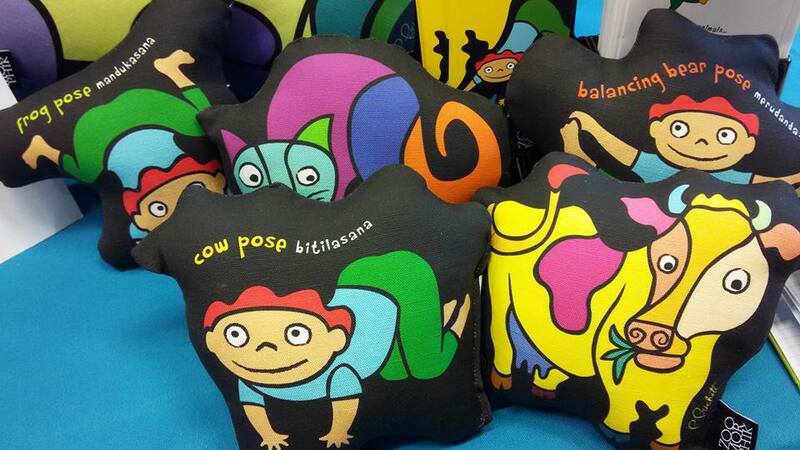 Brand new on the market and exhibiting for the first time this year were Zoomorphik pillows that have the animal on one side and a child doing the pose on the other side. In the coming months, we’ll share more about this new company and the designer behind it with a giveaway of a copy of the Downward Dog with Diego book and an accompanying pillow! Fellowship was also an important part of the day. 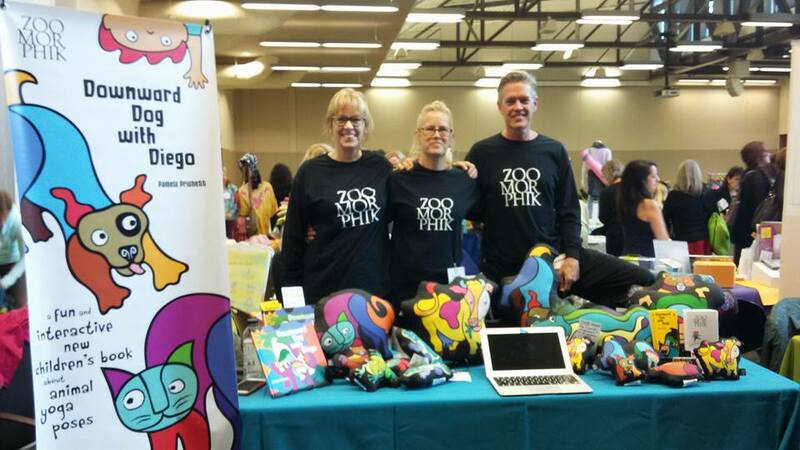 In addition to meeting new people who are similarly committed to the wellbeing of children, I also got to spend time talking with Mindful Healthy Life team member Cathy Burke of Evolve Beyond the Mat and with lil omm yoga founder Pleasance Silicki, pictured with me here. 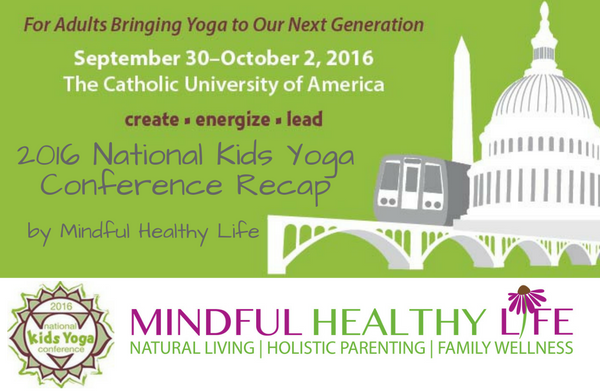 The positive energy of the National Kids Yoga Conference cannot be believed until it is experienced. It’s my hope that next year will see a lot more attendees from my children’s school district to help support children being the healthiest they can be, for learning and for life. If you can’t wait until next October to experience some of this community and inspiration for yourself, look into attending the Kripalu Yoga in the Schools Teacher Training in July, reach out to Alexandria-based YoKid, or check out any of the services of the NKYC speakers to learn about more opportunities, locally and elsewhere. 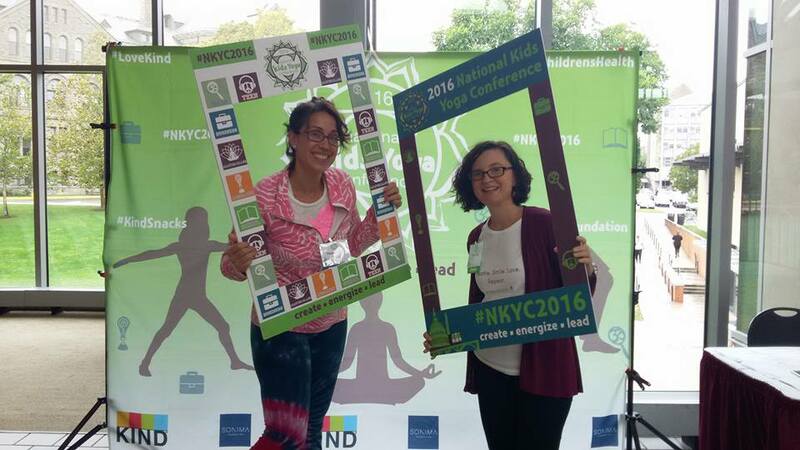 To learn more about the 2016 National Kids Yoga Conference, read our 2016 NKYC preview post or visit the conference website at conference.yokid.org. See also our 2015 NKYC recap and our 2014 NKYC recap. And mark your calendars for next year’s conference on October 13-15, 2017! 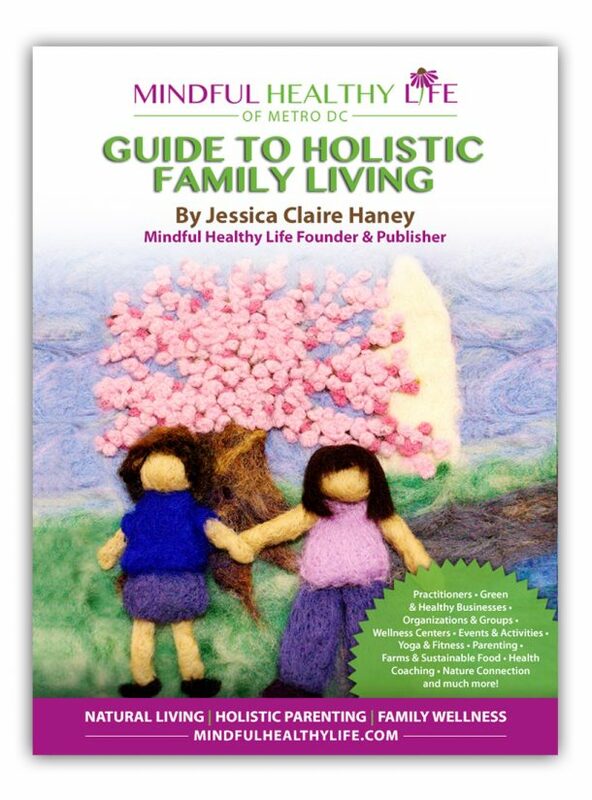 Jessica Claire Haney is the founder, publisher and editor of Mindful Healthy Life. She is a writer, editor, emerging novelist, and the founder of the Arlington/Alexandria chapter of Holistic Moms Network. Her personal blog is Crunchy-Chewy Mama and her writer’s site is JessicaClaireHaney.com. See the Contributors page and Jessica’s Mindful Healthy Life Q&A for more on Jessica. Hi, Joanie! Great to meet you and learn of your work! We will get up a book giveaway soon after the new year! I will be in touch with a draft!